Generally, homes built before the 1990s were designed with the use of several separate rooms. This compartmentalized design was considered to be the preferred layout for a home. 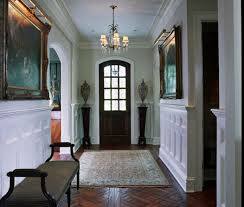 From a design perspective, it was believed that a house was most attractive with separating rooms throughout. Later, designers altered their perspective and saw the potential in an open floor plan. 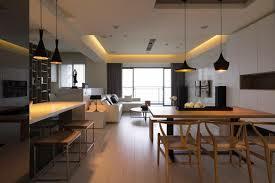 With the open floor plan, there is much more livable space that is freed up by removing the walls in an older home. By removing walls that were typically put in place to separate the kitchen and living room, the house becomes visibly more open on the main level. Columns or half walls may be needed to retain the homes structure, however doing so does not take away from the open effect. Are you looking to redesign your home? Does an open floor plan work for you and your family's needs? We put together a list of pros and cons to having an open floor plan to consider before making your final decision. When cooking in the kitchen, that person can keep conversation with family or guests in the other rooms. If you have children, eliminating walls on the main floor provides you with excellent sight lines, to make sure your children are safe and out of mischief no matter where you are on the main floor. With an open floor plan, the removal of walls allows for more sunlight into the home, brightening up your space and possibility reducing energy use. When walls are removed you may be able to see every room of your main floor, providing with you much more space and really optimizing your square footage. Less privacy on the main floor is certainly something to consider if you switch to an open floor plan. With more walls, families can be in separate rooms, which may be important for children of different ages, or a family with different work schedules. Enclosed spaces may be desired in a home where everyone is in need of their own space. The lack of walls in an open floor plan leaves less places for artwork. A plus of having additional walls is that you can display your favorite pieces. If this is important to you, you should consider how you would display artwork. Messes are more visible. Yes, knocking down your walls on the main floor would allow for you to keep an eye on your child at all times, but you must also consider that this means (if you have little ones) that their messes may be easily viewed at all times. You may prefer an enclosed space for a toy/play room.